Lightly toast the inside of the bun. Set aside. Lightly season Burger with Kosher Salt. 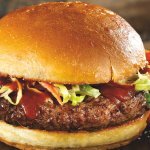 Cook your Burger to order (4-5 minutes per side on high heat will yield medium rare). 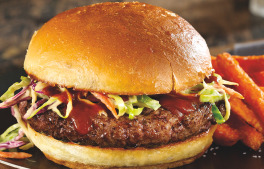 Build Your Burger: Bottom Bun, Burger, Moppin' Sauce, Cole Slaw, Top Bun.